I am obsessed with getting a great night of sleep. But, did you know that there is a mattress for our plus size frames? Yes! I received a new Big Fig Mattress, “the first mattress for people with a bigger figure,” did a video and am sharing why I love it! So, a few months ago, I started sharing with you my journey with Self Care, my obsession with getting goooooood sleep, and some of the things I do and use to make this happen. Well, today, I am hyped to share a new addition to my sleep regimen- the perfect for you mattress. And with the help of Big Fig Mattresses, I almost have my bedroom and sleep resources all together! Okay, so what is the big deal about Big Fig Mattresses and why am I all hyped? Let me tell you… for the longest, I have been complaining about my bed. I have tried adding memory foam toppers, different type of pillows, and it was NOT the business. So when I heard about a new mattress designed for the plus size person, I had to learn more and do some research. Because… support and a great night’s sleep is everything! You hear me? When they sent me this bed to test out, I was BEYOND geeked. It was like I put it out in the universe that I need a new bed and the powers that be helped make this happen! Thanks to Chubstr for the tips and introduction, I was able to hear more about this bed for bigger figures (get it, BigFig!?!) and immediately I was sold. Gel Infused Latex Foam that has been perforated for comfort and air flow. 3 layers of High Density poly foam for no-sag cushioning. It was weird, right? It was like firm and soft. Like, I was being held, gently- yet firmly. It was an odd and extremely comfy experience. I must say, over the past few weeks, my sleep has been deep, refreshing, and plentiful. Add to that my new pillows and comforter set I scored from Amazon, all that is missing is my headboard (coming soon from Vant Panels) and new art/decor for my room! I am here for products that specifically cater to the bigger figure and am soooo amped with my newest bedroom addition! What do you think? What questions do you have? Let’s chat! 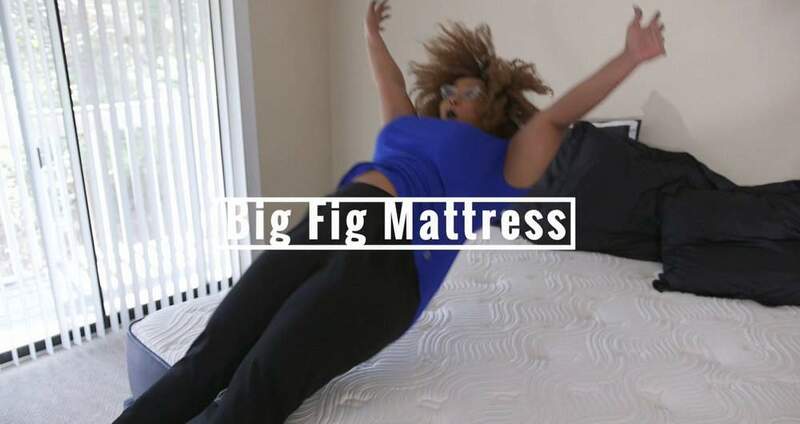 Disclosure: This was not a sponsored post, but Big Fig did send me a mattress set and I was sooo hyped, I had to share! Ooooh, that could be awesome!!! And wow, it’s not crazy expensive! How does it feel now, months later?